WEFUNK catches up with AG (of Showbiz & AG and DITC) about his current projects, including the brand new exclusive "Keep It Going (The Grind)" with OC. 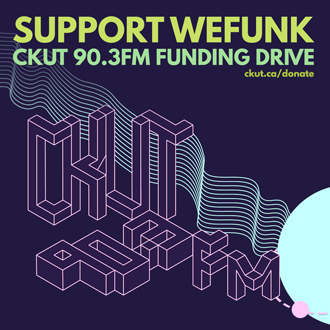 Plus a spotlight on Montreal emcees Narcicyst and Rugged Intellect, and exquisite deep soul & funk from Eddie Palmieri & The Harlem River Drive, Henryk Debich, David McCallum and Cymande. DJs & GUESTS Professor Groove, DJ Static, Narcicyst, Rugged Intellect, Adam Sampler, Jesse Walker / RECORDED March 14, 2008 / PLAYLIST MARKING felix1234 / HOSTING daduke, PJ, Mike & Oliver. You can help too!